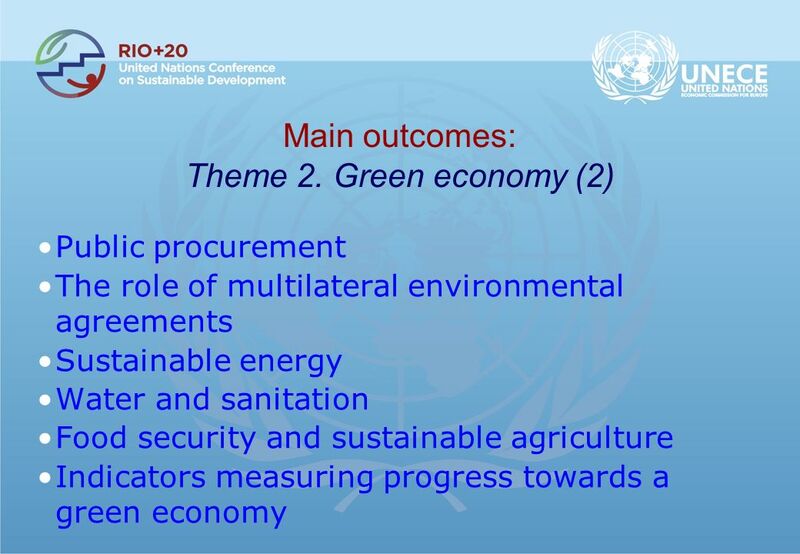 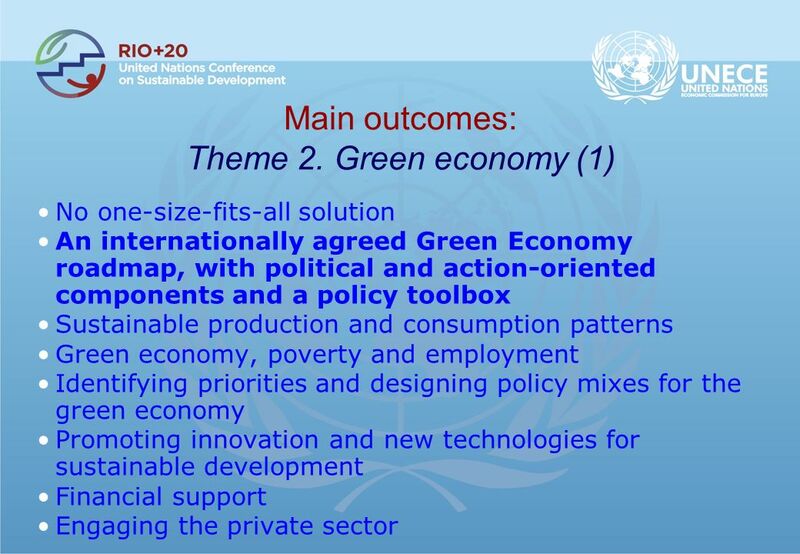 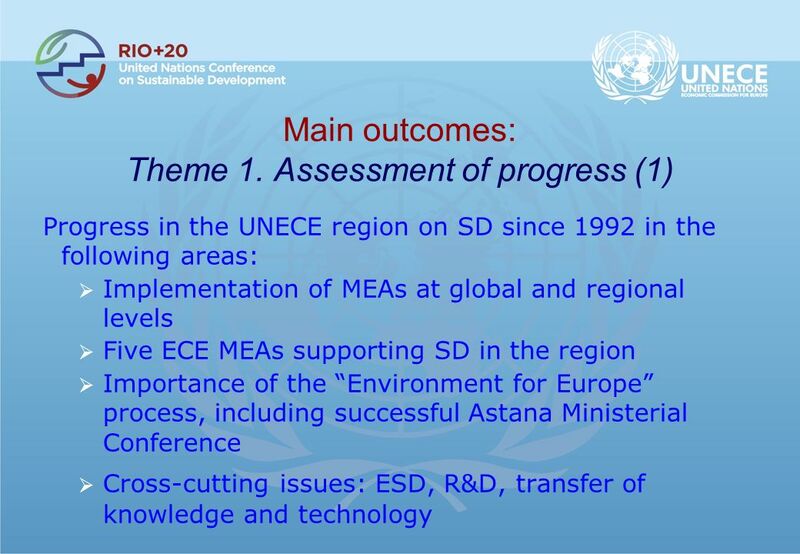 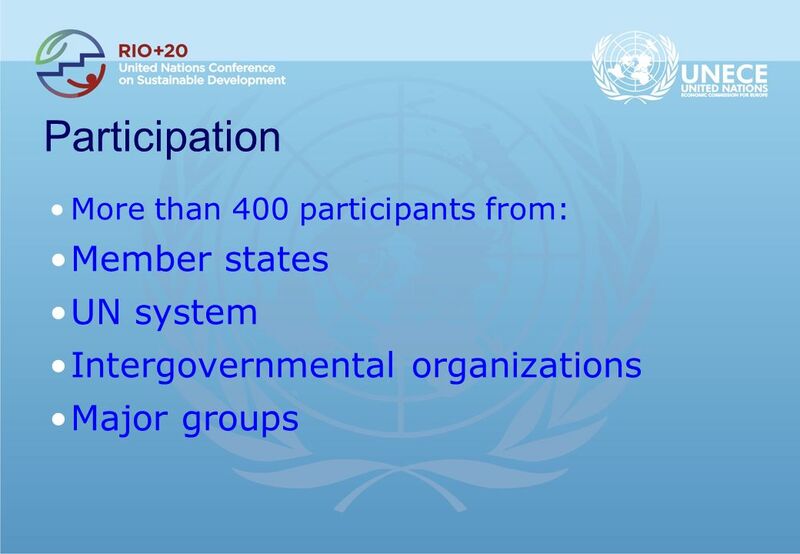 Main outcomes of the ECE Regional Preparatory Meeting for the United Nations Conference on Sustainable Development Main outcomes of the ECE Regional Preparatory. 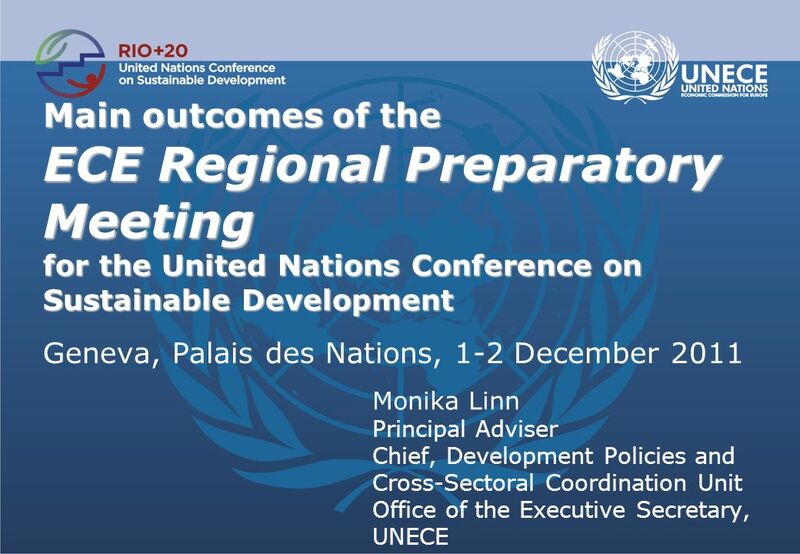 Download ppt "Main outcomes of the ECE Regional Preparatory Meeting for the United Nations Conference on Sustainable Development Main outcomes of the ECE Regional Preparatory." 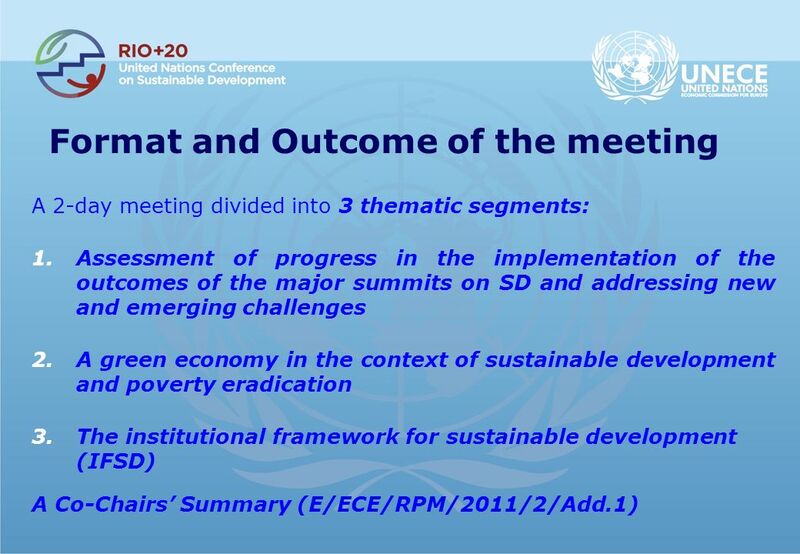 CSD-18 ESCWA & Arab Region Regional Discussion Western Asia & Arab Region Outcome of the RIM on CSD-18 Thematic Areas Interactive Discussion Comments on. 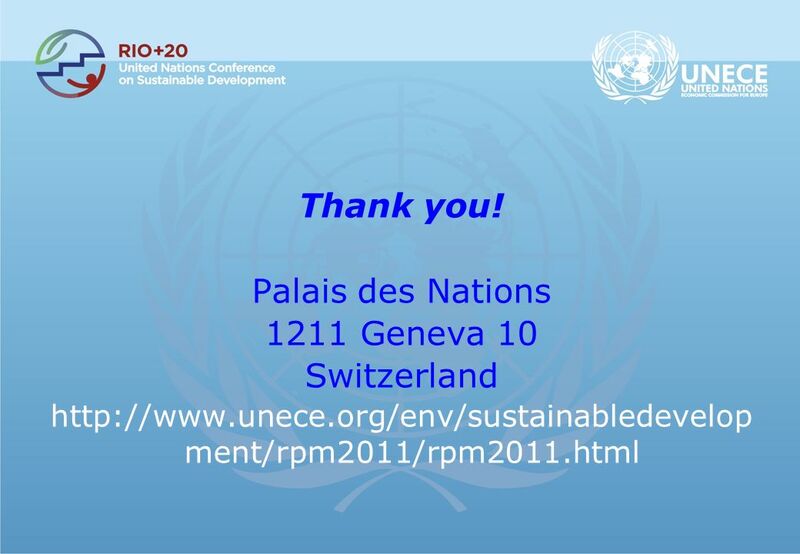 International Environmental Governance Report of the Executive Director UNEP. 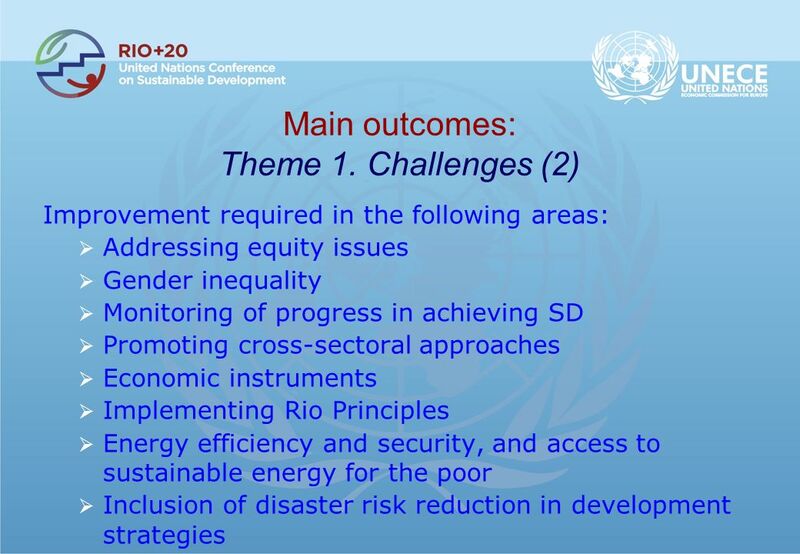 European Hearing Rio+20 International Governance of Sustainable Development European Hearing Rio+20 International Governance of Sustainable Development. 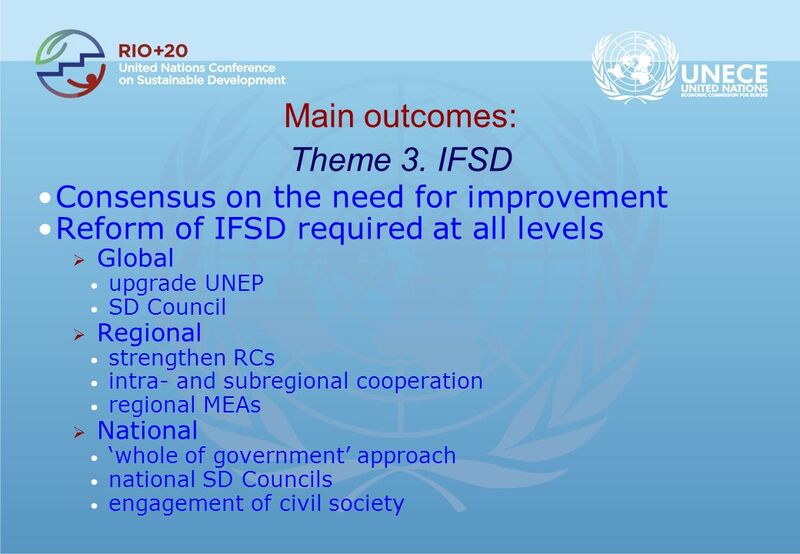 Trade Mainstreaming and the Integrated Framework for Trade-Related Technical Assistance to Least Developed Countries (IF) Conference on Small Island States. 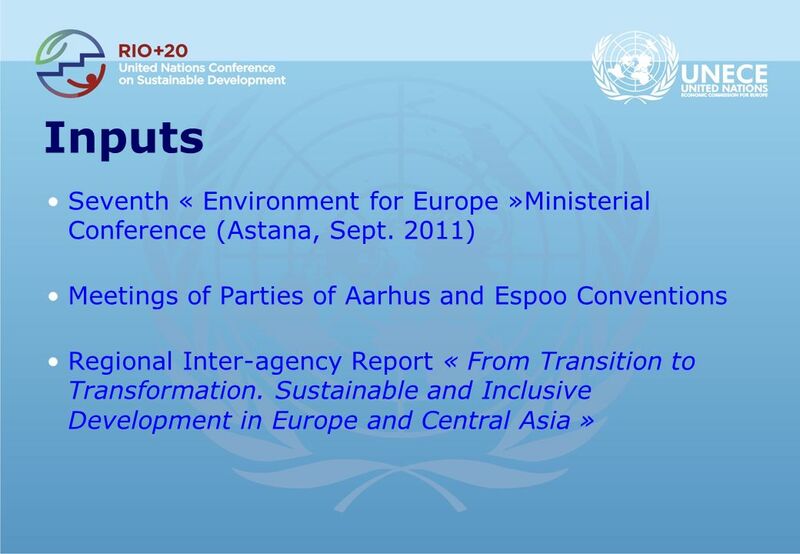 CSO’s on the Road to Busan: Key Messages and Proposals.